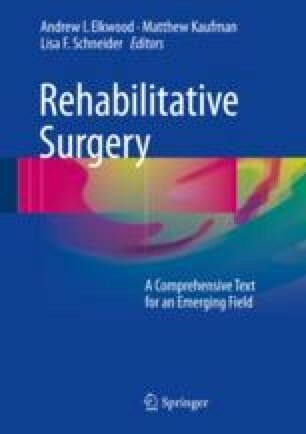 Rehabilitation of the diaphragm following a phrenic nerve graft involves a detailed pre-/postsurgical multisystem evaluation by a physical therapist to determine the extent of the long-standing unilateral or bilateral phrenic nerve paralysis. Primary (i.e., respiratory, endurance) and secondary (i.e., posture, pain) impairments are described. A bilateral paralysis has a devastating impact on the patient’s survival, often requiring mechanical ventilation, but unilateral paralysis is also devastating due to compensatory postural control strategies which can lead to balance impairments, gait deviations, sleep disruptions, musculoskeletal restrictions/pain, incontinence, and an ongoing risk of respiratory complications. If the consequences of phrenic nerve paralysis are not fully understood, assessed, and treated, the patient’s long-term quality of life outcomes may be impaired. Research with spinal cord injury gives physical therapists guidance for the development of an appropriate treatment approach to this population, but research specific to this novel area of phrenic nerve restoration is needed.